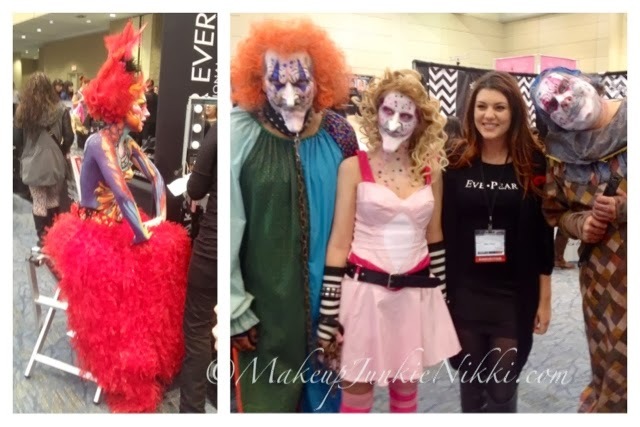 were apart of the IMATS , who I love, Emily & Desiree! I'm just feeling extremely blessed with the way my life has been leading! Hugely from the unconditional support from my Family, Friends, Followers and Clients! Still trying to wrap my head around what the past year has given to me & what the future has in store! Again thank you with all that I am! Left to Right: Me, Pom, Elyza, Stephanie, Eve, Emily and Desiree! Thank you to all my amazing Followers/Friends who came by to say Hi! It was so great to meet you all. Here are a couple of girls that I meet. 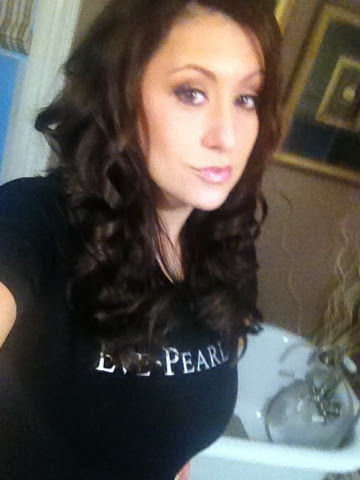 Eve demonstrating her new Invisible Finish Powderless Powder... Yes this is perfect for men! Brand new on the market... nothing else out there like it! 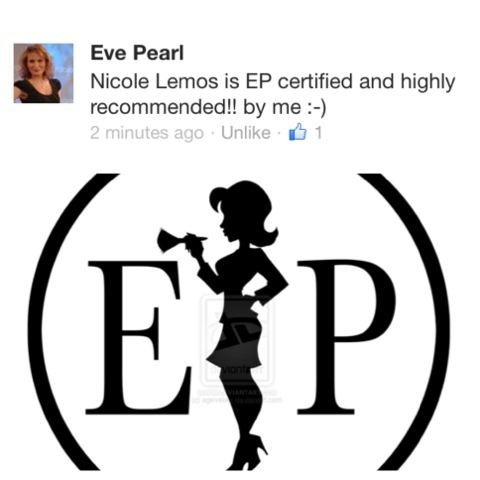 Eve sharing her Pearls of Wisdom! Saturday was insane! There was no time for shopping at all! We were swamped with eager EP fans and newbies! 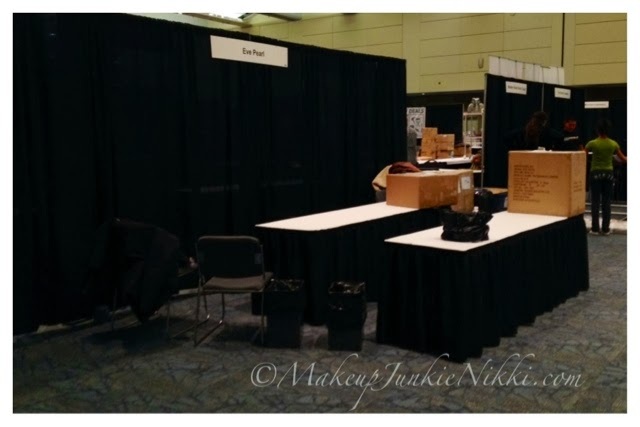 So Sunday I had a little time to look around and see what was left. Most things sell out by the first day! At our booth alone we sold out of sooo much! Here is a quick look at what I picked up! 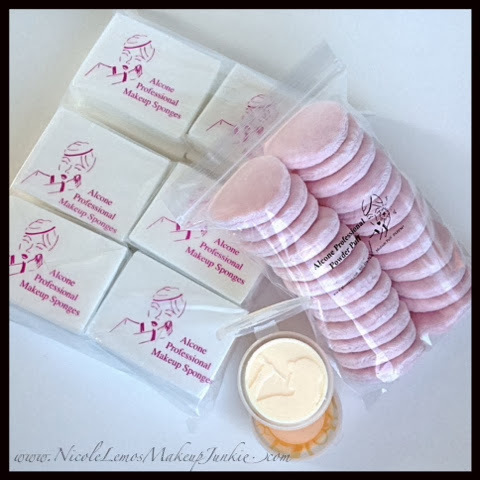 8pk sponges, Powder puffs & Zoren Zander soap! I'm so excited about this soap! I've wanting to try it for a long time now! This by far is my most favorite purchase!!! 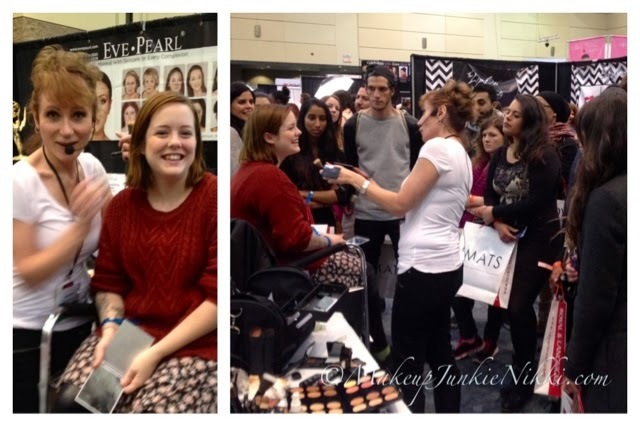 So biggest highlight of IMATS Toronto was meeting the amazing Kevin James Bennett! If you have no idea who I'm talking about educate yourself, click here, lol! When I met him of coarse I started to introduce myself and he said "I know who you are" with such a sweet smile and his tone was "Like Come on girl"... lol. I seriously died inside... KJB knows who I am?! We talked shop and discussed his group on FB called "In My Kit"... which by the way is amazing! I am blown away by him! So sweet and nice. Full of knowledge and unbelievably handsome! Later in the day he came by our booth for a visit to see his friend, Eve Pearl. 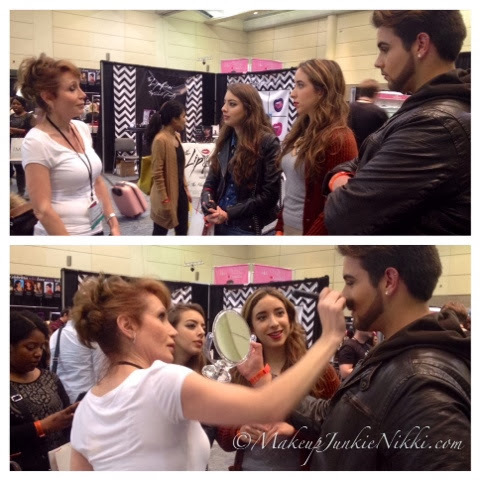 Which he raved about her line especially the Flawless Face Palette! He knows what he's talking about... lol! I had such a wonderful time working the show! Meeting everyone I did! 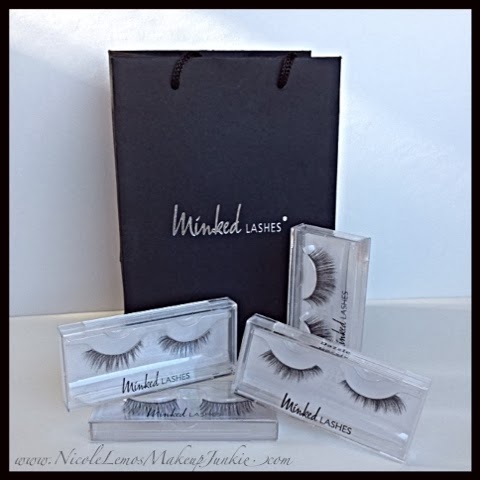 Educating women and men and just helping making clients feel wonderful and beautiful! 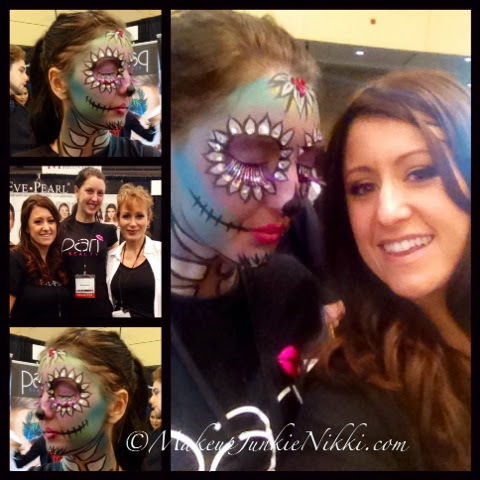 What a rewarding experience! 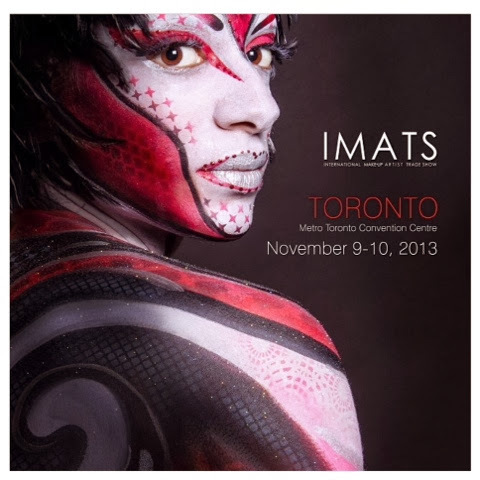 Till next year IMATS Toronto 2013 is a wrap! 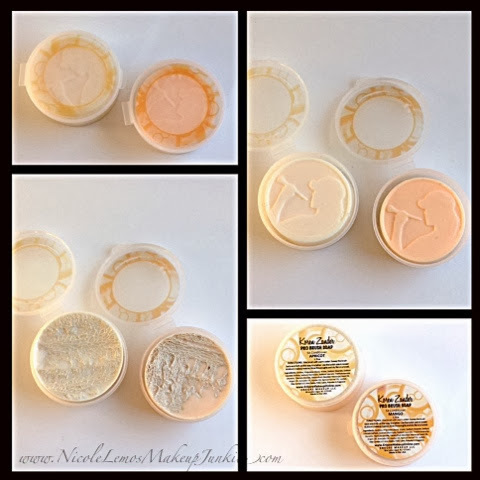 Let me know if you want a review on any of the products I picked up! 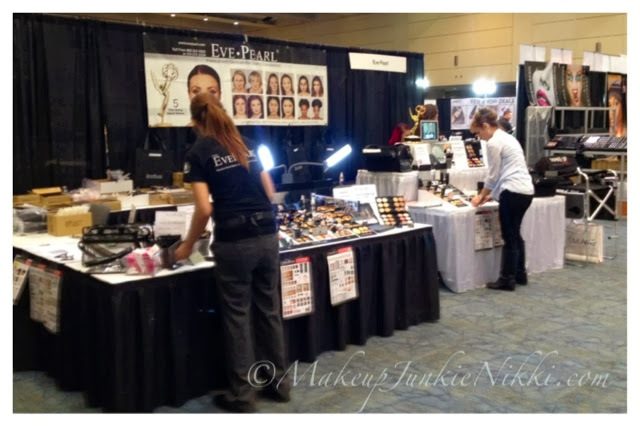 Did you go IMATS Toronto??? 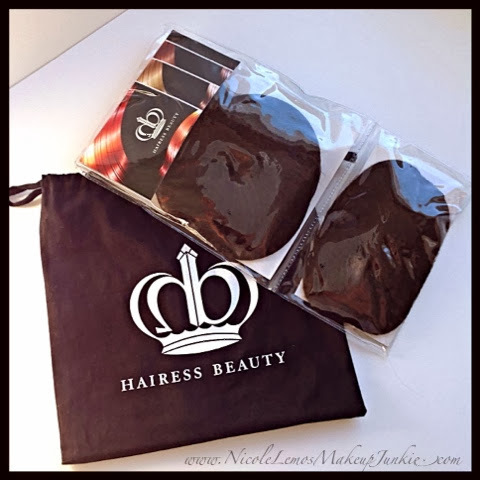 Thank you Niki! I do feel completely blessed! It certainly was a great and crzy experience! Can't wait for next year!